Pros: Excellent theatre and auditorium, perfectly choreographed and executed, understated yet raw and deep. Cons: The distribution of whisky to the audience was unnecessary and stunted the piece’s steady rise. A simple but immersive performance that defies all initial expectations and explanations. Two men in macs, jeans and trainers walk onto an empty stage, stand side by side and start singing softly: a humble beginning to what would become one of the best, and most emotional dance performances I’ve ever seen. Idiot-Syncrasy played in The Place’s brilliant Robin Howard Dance Theatre, a dramatic studio-like space with a white square floor and three hanging dividers as a stage. This simple set-up is extended throughout the play, from the near absence of props, colour or costumes. This means there are no aesthetics to distract from the physicality of the performance, which begins with the dancers singing an Italian chant, slowly rising toward an emotional crescendo. The dancers’ method of song is rare; it is blank, yet powerful and proud. They are also able to show a similar understanding of the song, but through different interpretations; Igor appears to feel the weight of the song’s history, whilst Moreno is joyful in the potential for change. As they run out of emotion orally, the dancers turn to bouncing as a means of furthering this upsurge of emotion, as if the words take on a physical meaning. Bouncing soon becomes jumping, which is unrelenting and unforgiving. 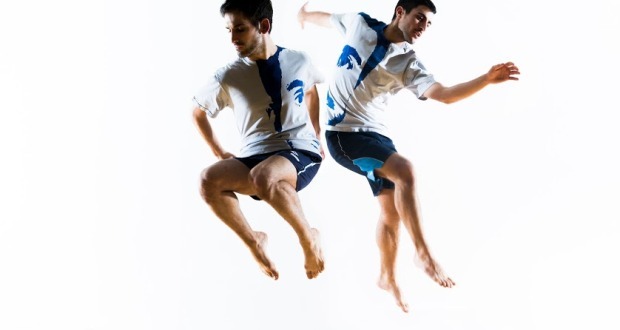 The dancers comically take off their jackets, jeans, shoes and socks until they are jumping in just their plain shorts and t-shirts. This allows us to appreciate the physicality behind the act of jumping. When infrequently performed jumping might be insignificant, but becomes incredibly physically demanding over a long period. They never once break rhythm, even when moving around the stage or behind the dividers to change their t-shirt. 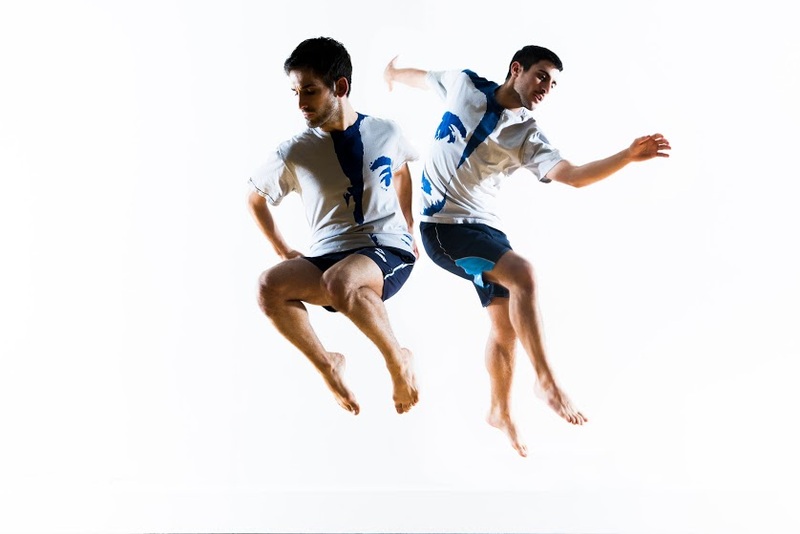 The steady jump soon takes on ballet and capoeira influences as the two men ramp up the emotion once more. Silence is replaced by an atmospheric whirring bass, which along with the dimming of the lights removes any comedic aspect and creates a dark, powerful mood. It is easy to write this dance off as untechnical, and in some ways it is, but the timing and choreography is anything but easy. Musical numbers are often technically difficult and visually engaging but they are rarely as visceral and spiritual as this. The performance’s finale is intense and gripping. We are unsure exactly what we are experiencing – unrequited lust, an externalisation of the spirit, a physical representation of life in general or the battle of the self. It appears that facing the audience translates to external thoughts and factors and that facing each other is some kind of internalisation but the answer is never clear. This is a performance that does not translate well to clips or short segments. It needs to be seen in full to be understood. It is a journey, which apart from some distracting parts near the beginning, is virtually flawless. Kim's taste in music and film are eclectic to put it nicely, and weird to put it not nicely. His tastes in theatre however are much more traditional - a murder mystery with a few good twists, a musical with a few good songs or a comedy with stupid characters saying stupid things will all do it. Away from the theatre Kim enjoys good public policy, living in Hackney and drinking milk.